1.Simplify, compact and high-rigidity frame. let all electric system install easy and nice looking. 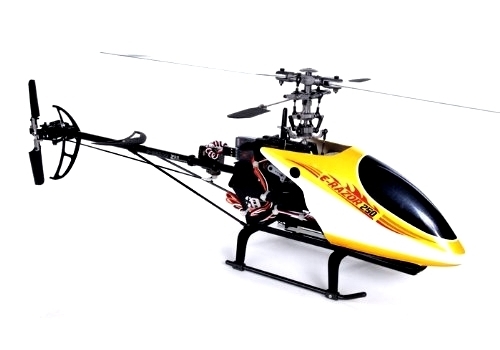 2.Use Direct-belt-drive, save power and let helicopter very quiet. 3.Simple, separate servos-frame, let flyer easy install and repair. 4.In main frame, use 3pcs belling, insure to the main shaft concentric and less shake. 5.High-precision tail double-push frame, more smooth and wearable. 6.The separate main gear let flyer install and repair more easy and fast.